Celebrate Independence Day in Naples and Bonita Springs! Celebrate our nation's independence and the freedoms we enjoy everyday this year for the 4th of July! There are great community events planned in Naples and Bonita Springs! Show off your patriotic pride on Independence Day throughout our area! Celebrate our nation’s independence all day in Naples. Head downtown Naples for a fantastic community parade that starts at 10:00 am. The parade route will begin at Broad Avenue South and end at 8th Avenue South. Head to any Naples beach in the evening to watch the beautiful fireworks that will be set off from a barge north of Naples Pier. Tune into radio station WAVV 101.1 FM to listen to patriotic music that matches up with the spectacular display of special effects in the sky! Come to beautiful Riverside Park (10451 Old 41 Road) for a day filled with celebration. This free event kicks off with a parade at 9:00 am, followed by a party in the park with loads of fun, kids activities and live music by The Marc Vee Band and the Wayward Souls Band at 4:00 pm. The favorite Old Fashioned Bed Races hosted by the YMCA will begin at 6:00 pm. Cap off your evening with a spectacular Fireworks & Laser Light Show beginning at dusk. 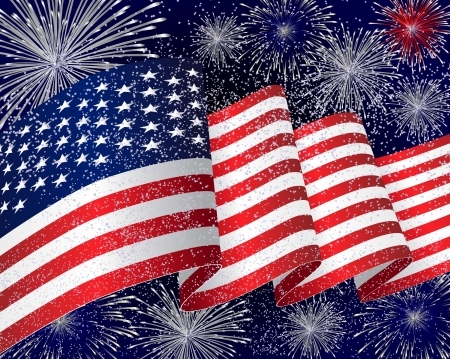 Private Reserve Realty wishes everyone in the Naples area a very happy & safe July 4th!